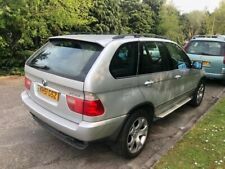 BMW X5 SPORT AUTO 2002 51 REG. BODY WORK AND LEATHER INTERIOR IN GOOD CONDITION FOR AGE AND MILEAGE. 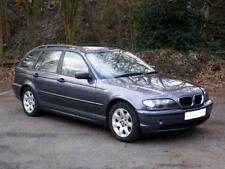 STARTS AND DRIVES VERY WELL, A POSSIBLE PROP SHAFT OR REAR AXLE BUSHES ON ACCELERATION CAUSING A SLIGHT BANG. Here for sale is my bmw x5. Car also has roof bars and dog net. Both original bmw parts. These are for sale seperatly but if you want ill give you a good deal. Ive had manifold done new door locks. Loads off service history This is a real nice car drives lovely no lights on dash. METALLIC WITH CONTRASTING CREAM LEATHER INTERIOR, PARKING SENSORS, HEATED SEATS, SAT NAV, FULL ELEC PACK, DRIVES GREAT, AUTOMATIC TRANSMISSION, 12 MONTHS MOT RECENTLY DONE WITH NO ADVISORIES, ONLY £2495. MOT until: 18th March 2020. 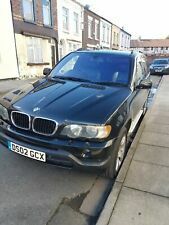 2001 BMW X5 4.4 V8 SPORT AUTO IN BLACK. If you fail to do this the car will not necessarily be held for you. If this does not sound like you then you might want to consider buying your vehicle elsewhere. 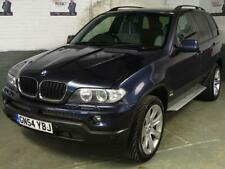 Here we have a lovely BMW X5 2000 in fantastic condition. With 129000 Miles on the clock with service history. looks and drives like it’s done half that. 12 months MOT. Full black leather. 6 Cd changer. 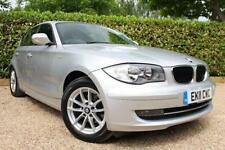 Low Mileage, Alpine White, 20'' Alloys, Must See! Sounds amazing (V8 muscle car). Only bad bit - needs a new window regulator to rear offside window. Looks stunning. Couple of minor marks. Drives perfect, wheels mint. Excellent condition for year, rust free. MOT Until: 11th September 2019. 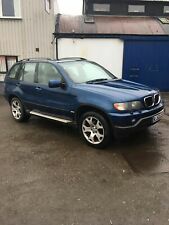 2002 BMW X5 3.0 SPORT AUTOMATIC IN PETROL. 3.0 Litre 231BHP Petrol Engine. If this does not sound like you then you might want to consider buying your vehicle elsewhere. For sale BMW x5 3.0i sport(petrol) .The best variant in my view, similar economy to the diesel yet far more reliable using bmw's bulletproof straight six engine. Only selling due to larger than expected tax bill. Car is in excellent condition throughout and runs like a dream. No expense spared in maintaining this vehicle(receipts to show)and full service history. Tyres all have good amount of tread and the car wants for nothing. any inspection welcome and feel free to ask me any questions. Will consider reasonable offers, but not silly ones. Thanks for looking. 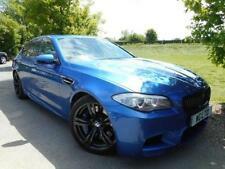 Xhail Motors Ltd - Visit us for a test drive, viewings by appointment only. - Call us on 441708947015 or click here to find out more. Trade Centre York - Call us on 441904917431 or click here to find out more. BMW X5 3.0i injection Petrol, automatic gearbox Mileage: 142230 as of 29/11/18 Features: Electric sunroof Electric front seats – both with seat heaters Alloy wheels Long MOT. Passed until September 2019 Air con works 6 CD changer Tyres are fine and the two rear tyres are new SatNav works but is old and needs new discs to update it This car drives very well and has no problems. BMW X5 3.0i Sport Auto Petrol only 69k Miles from new in beautiful condition throughout a really rare example and drives just as good as it looks with a full size panoramic roof, split tailgate, full sand coloured leather heated front seats and matching carpets again in really good condition, Air con Cruise control auto lights electric windows seats and roof, loads of spec and service history mostly main dealer, a new MOT and service will be carried out for the new owner please call us on 01785 812002 for any more help or info credit and debit cards accepted.